How will this Google Analytics e-commerce template help me? This template acts as your structured guide based on an approach used by two Expert users of Google Analytics who have defined processes for reviewing all the opportunities to increase sales and making recommendations on where to prioritise. 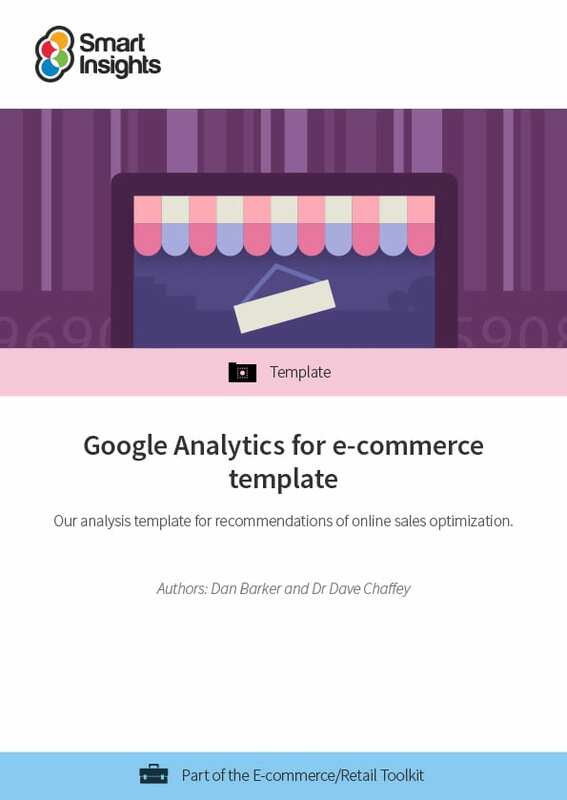 We designed this template to help give companies a structured approach to apply Google Analytics to identify ways to increase sales for e-ccommerce sites. It was mainly created for use on retail sites, but it can be applied in other sectors too with a transactional site including financial services and Travel. Many of the reviews and recommendations can also be applied in businesses offering services too. What does the Google Analytics e-commerce site audit include?